H&H Environmental Construction and Consulting serves both the residential and commercial mold needs of New York City. We are often contacted by residents about mold testing and remediation in their apartment buildings. They want to know what they can do about mold infestation and how this may relate to their landlords. According to the New York City Department of Health, the presence of any significant mold must be inspected. There are specific guidelines by the city’s health department for cleaning up mold growth in apartments and residential units. The city’s housing department regards mold growth as “C” class, or an immediately hazardous violation. 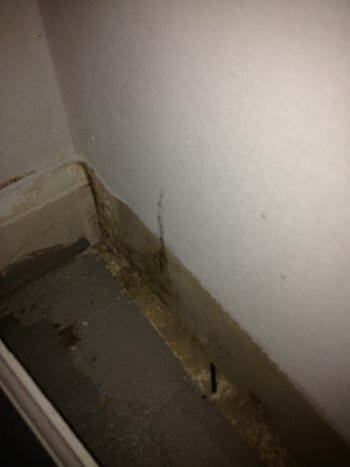 Ultimately, it is the landlord’s responsibility to eliminate mold in a tenant’s apartment. They are also responsible for properly cleaning up the mold and for fixing any structural conditions that may be contributing to the mold growth. This may include fixing any plumbing leaks, making roof or building foundation repairs and so on. Some fixes may be expensive, such as replacing pipes within walls or repairing the outside walls of your building. The landlord is responsible for all necessary, no matter what the repairs cost. In addition, all contractors and workers in the remediation project must follow NYC’s health and safety guidelines. If a landlord does not fix the problem or the conditions that cause the problem, they can be held liable. Unfortunately, many tenants may find that their landlord refuses to deal with the problem. In that case, the city’s health and housing department laws may simply be insufficient. In the case of a landlord who refuses to obey the health laws, the tenants may need to take additional measures to enforce action – which may include taking the landlord to court. To report a mold problem in your apartment or common building areas, you can call the NYC Dept of Health at 311 (or the DOH’s Office of Environmental Investigations at 212-442-3372.) You can also report mold and any chronic water leaks by calling 311 to the NYC Dept. Of Housing, Preservation and Development. Only licensed and certified mold removal companies should perform building mold remediation. The first step in commercial mold removal is to identify the source of any water or moisture in the building. Once the water source is identified and repaired, then the mold and contaminated material can be safely and effectively removed. 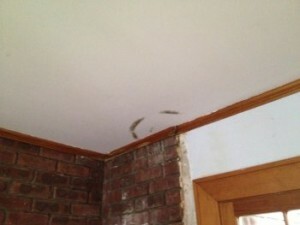 Additional information about residential and commercial mold can be found at NYCMoldAuthority.com. If you are a commercial building owner or landlord and you either suspect a problem or have received violation notices for mold, we can help! We serve New York City, including the boroughs of Manhattan, Queens and the Bronx. Call us at 888-250-6653 for a free consultation. Mold Remediation – What is it?